Let’s sing along to the most popular karaoke songs of 2016! Karaoke nights can be intimidating. There’s a bunch of people we don’t know so well, solo singing on the stage, and often no time to rehearse before the get go. The last thing we’d want is to end up with a song no one’s listening to! If you are a person who forever obsesses over choosing the perfect song for karaoke night – the safest bet is to go for the current most popular songs. While 2017 already has its fair number of hits, it is always last year’s biggest chartbusters that are still on everybody’s playlists. They are the songs that have been on everybody’s lips all year long – and the ones that make the most impact. Choose one of them and chances are the ears are not only going to perk up – there might also be some singalongs and cheering involved! So in this list of most popular karaoke songs of 2016, we decided to tackle all of the “singable” songs of last year – the greatest chartbusters that are a sure winner on the karaoke floor! Alternatively, one can also choose one of the 10 Most Popular Karaoke Songs of All Time that never fail to bring the party to the house no matter how many time they are repeated. We put together the current list by choosing the top tracks of 2016 according to the authoritative charts of Billboard and Official Charts and rated them on parameters that make them the most suitable for karaoke singing. While some songs can be the number 1 hits for the longest time, they are not always fit for karaoke singing. Karaoke singing often requires special songs that are catchy or memorable, or in other words “singable”. So we rated the top songs of 2016 as per their “singability” and added extra points for the presence of a hook, a memorable melody, relatable lyrics, ease of singing, and the groove or energy of the songs. 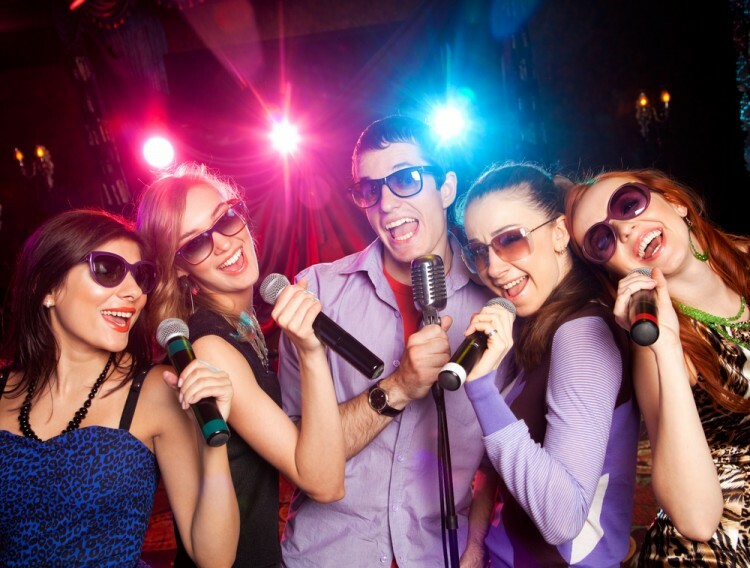 Sometimes the “X” factor of the songs can play the biggest role in making a song a karaoke hit! We all know Drake hit it big last year, and we all were awkwardly dancing to “Hotline Bling” – but does he make the list of the most popular karaoke songs of 2016? We are about to find out!